Taiwanese universities come under pressure to sign a “one China” pledge. Ironically, almost exactly a month after the release of the report, news emerged that threw Taiwan’s recently-lauded academic freedom into question. On March 2, media outlets began reporting that in December, Shih Hsin University’s School of Lifelong Learning signed a so-called “One China” pledge with several Chinese universities. 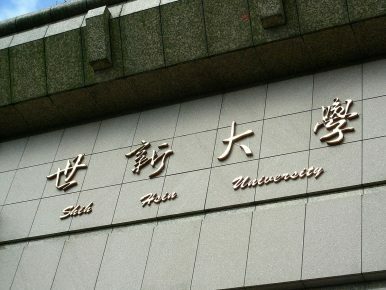 In the pledge, Shih Hsin University promised to not offer classes containing politically sensitive activities or discussions pertaining to “one China, one Taiwan” or “Taiwanese independence.” The agreement was signed prior to the arrival of 11 Chinese exchange students to Shih Hsin University. Since then, five other universities have been confirmed, and almost half of all Taiwanese universities are suspected, to also have signed similar pledges to exclude politically sensitive topics from classes offered to Chinese students. Of course, it can be said that this controversy over the state of academic freedom in higher education institutions in Taiwan is inevitable. Taiwan’s dramatic increase in universities during and after the mid-1990s has seen university acceptance rates rise to more than 90 percent in 2006, among Asia’s highest. However, low birthrates and an aging population over the past decade mean that universities, particularly lower-ranked, private, and remote ones, face student shortages. With the threat of closure looming, universities are accepting an increasing number of international students. Chinese students, since they were allowed to enroll in Taiwanese universities in 2011, have been the main contributor to the surge in international students. In 2016, Chinese students made up more than one-third of all international students in Taiwan. Taiwanese universities are eager to take in more students, and China seems happy to supply them. However, ideological disparities and diplomatic grievances between local and Chinese students create tensions that sometimes erupt in very public manners. Incidents such as Chinese students cussing at the Taiwanese student representative who referred to exchange students as “Chinese” rather than “mainland,” and the immense public pressure piled on a mainland student who hoped to run for her school’s student government all point toward deep mistrust and differences between people on both sides of the strait, particularly in the area of higher education. The most recent controversy highlights again the existing problems. There was immediate outcry and outrage following the revelation that Shih Hsin University and five other higher education institutions have signed the so-called “One China” pledges. While all six universities have made statements announcing that the agreements had in no way breached the Act Governing Relations between the People of the Taiwan Area and the Mainland Area, the declarations have done little to quell public anger and anxiety. Premier Lin Chuan noted that academic freedom should not be limited for political reasons, while Mainland Affairs Council Minister Katharine Chang criticized the request from Chinese universities to restrict speeches in the classroom as “unnecessary, inappropriate, and unreasonable.” Minister of Education Pan Wen-Chung went as far as to label the agreements “illegal.” Numerous academics protested against signing “One China” pledges as they see it as a step backwards on academic freedom. This reaction is far from surprising. Freedom of any kind was hard-won in Taiwan, and any move seen to be curtailing free speech in classrooms and in research would invoke a backlash. Added to this is the growing tension in cross-strait relations after the election of Democratic Progressive Party leader Tsai Ing-wen, and the rising percentage of Taiwanese who identify themselves as exclusively Taiwanese and neither Chinese nor both Chinese and Taiwanese. The fact universities are seemingly foregoing academic freedom in order to gain more Chinese students is understandably troubling to the majority. Academic freedom is undoubtedly important, but it is also important, for universities and citizens on both sides of the strait to ask some crucial questions. If signing “One China” pledges is the absolute precondition for enrolling Chinese students, should universities still be allowed to enter into such agreements based on their discretion? Moreover, what in reality could happen with the singing of such pledges? There are many arguments to be made as to why higher education institutions should not sign “One China” agreements. For one, Taiwan’s robust democracy and freedom in the classrooms have allowed students to become critical thinkers who are increasingly more aware of and active in social movements and political causes. In fact, academic freedom as a whole is a fundamental element of a free and open society, a fact not lost on the protesting scholars, students, and the public. That the restrictions to what could be taught within a classroom seem to have come from China just added salt to the wound. Taiwan has suffered through numerous “bullying” incidents by China, from the missiles aimed at the island down to cyberbullying by Chinese netizens of a young Taiwanese pop star because she waved a Taiwanese flag on television. Any perceived attempts to influence, belittle, or coerce Taiwan would not be looked upon favorably, let alone what seems to be an outright attempt to control the academia. On the other hand, there does not seem to be any real-world impact yet. Despite having signed the agreements some time ago, there have been no reports by students of their lecturers deliberately avoiding politically sensitive topics. Of course, self-censorship by professors would be very difficult to detect, but no faculty at the six named schools have reported any attempts by the administrations to influence their research and teaching as of now. The universities have also pointed out that the pledges are informal and non-binding, which gives the hope that perhaps the universities only entered into the agreements to appease their Chinese counterparts and nothing more. This then raises the question of what the Chinese universities could gain from the pledges. It is tough at this moment to see what the Chinese higher education institutions (or the Chinese government) could possibly hope to gain. Of course, it could be that the Chinese universities simply hope to create friendly learning environments for their students, or that they wish to preempt any situation that may put Chinese students in a difficult position. Or, as some commentators suggest, the Chinese universities may have the more nefarious aim of attempting to influence directly with academic freedom in Taiwan. Either way, even if the Taiwanese universities follow the pledges down to the letter, which seems almost impossible given the public outcry and restrictions of existing laws, it will have limited effect. By simply being immersed in the Taiwanese society, Chinese students are already being exposed to democracy and debates on the future of cross-strait relations. To avoid subjects deemed “too politically sensitive,” Chinese students would have to never visit bookstores that have numerous works banned in China, never get too close to billboards on the streets that bear giant posters of both DPP and KMT politicians, and never turn on the TV or visit restaurants, where the locals sometimes talk about politics with great gusto. Exposure to politically sensitive materials for Chinese students in Taiwan is inevitable. Therefore, it is very difficult to see any tangible benefits for the Chinese administration and universities in pushing for such pledges. In fact, it may even cause the Taiwanese to further be suspicious and wary of Chinese students, an attitude that may not be helpful for China in the long run. Maintaining principles such as academic freedom is imperative for a modern democracy to function. Yet it is also important for the Taiwanese government and public to consider whether signing pledges may actually ultimately be more beneficial. Compromise on paper has so far not yet translated to compromise in reality, and if this is the absolute precondition the Chinese government will ask for before sending their students across the strait, Taiwan should carefully consider the proposition. After all, what is going on outside of classrooms has as much, if not more, influence on students as lectures or textbooks. When Chinese students see, and even experience, protests, open criticisms of the government, free debate in parliament, and the dynamic media, their views of Taiwan and of democracy may be changed. Interactions with locals in their daily lives could also help Chinese students understand how Taiwanese see themselves and the cross-strait issue and foster friendly relations. Therefore, it may be that in reality the controversial agreements have been more beneficial to fostering understanding and acceptance of the Taiwanese people’s desire to determine their own futures among young Chinese students on the island. A pledge on a piece of paper has many political implications. What is clear, however, is no matter what the Chinese government or universities were trying to achieve when they asked for the agreements, they will not be successful in obtaining the goal. Ultimately, regardless of what actions are eventually taken by the Taiwanese government or by individual higher education institutions, the very public debates and discussions, criticisms, and reflections in light of the controversy have shown just how far Taiwan has managed to come in terms of democracy. Just decades ago, such a public defense of and impassioned and rational deliberations on academic freedom would not have occurred. That is something that Taiwan could be proud of and should hold onto as it grapples with the challenges a lager number of international students bring. Pei-Yu Wei graduated from New York University with a Master’s degree in politics. She is a Fulbright Foreign Studies Grant candidate for 2017-2018.